The CHPI is run by a small team and operates on less than 1% of the income of some of the UK’s bigger health think-tanks. We rely on individual donations and support to sustain our independence. In 2018, we received a 5-star rating from Transparify for our financial transparency. We are reliant on a diverse network of contributors and always keen to involve others in our work. 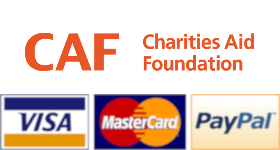 Donations can be made securely online through CAF Donate using PayPal, a credit/debit card, CAF account, or Direct Debit. Any donation you can make will enable us to develop our work. Alternatively, you can post a cheque made out to “Centre for Health and the Public Interest” to CHPI c/o Medact, The Grayston Centre, 28 Charles Square, London N1 6HT. CHPI does not have much capacity to supervise interns or volunteers. However, if you share our perspectives and can spare some time to help us without much support or supervision, email us with a brief note including any relevant expertise or interests. We publish blog posts on a range of issues relevant to our mission including mental health, service reconfiguration, the future of primary care, and health inequalities. If you are interested in writing a blog for us, contact us or submit a proposal using the form here. Joining our mailing list is a great way to keep up to date with our work and opportunities to support it in the future. By submitting this form you confirm you are happy for CHPI to hold your details and use them to send you email updates about our work. We will process your data securely, and not share it with any third parties.